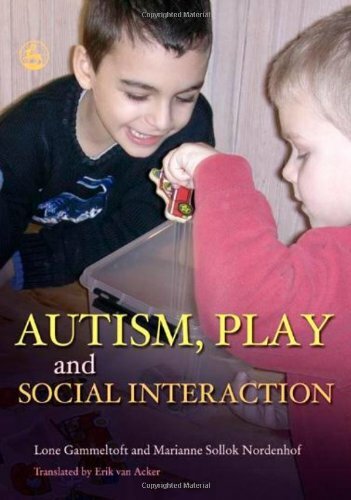 Illustrated guide that explains how to help children with autism spectrum disorders engage in interactive play, which is vital for the acquisition of social skills and attention to shared activities. The authors explain how to set up suitably structured play environments, games schedules and play routines, and how to use visual aids and other props to facilitate co-operative play and interaction. Common children's games have been adapted to accommodate children with autism spectrum disorders and range from simple interaction, such as 'putting-in' and 'give and take', to more complex games like 'hide and seek', 'sound-lotto' and 'spin the bottle', as well as games that teach social behaviour, such as exchanging toys and engaging with other children for play opportunities.